 Starting in October, Austin Resource Recovery will send a team of trained staff to survey the materials in the recycling carts of approximately 13,000 residents throughout the City of Austin. The team, called the “Recycle Right Crew,” will briefly look inside each cart to check for correct and unaccepted items. Each survey will take only about 15 seconds. We will post the results of each of the surveyed areas online. Check back soon to see how each area’s recycling efforts compare.